The Fantasticks is giving Matt Leisy his voice, literally and figuratively. After playing the Mute (yes, a non-speaking role) for a year and understudying the young lover Matt, Leisy was promoted full-time to the role, which includes the ballad “Soon It’s Gonna Rain,” on December 6. The Northwestern University graduate who split his childhood between England and Kansas sat down with Stage Rush to discuss understudying, role ownership, and shielding eyes from glitter. Catch Matt Leisy’s appearance on Stage Rush TV this Friday! You’ve achieved what so many understudies hope for—you took over the role you were covering. How did you feel when you were told? I was definitely very excited and relieved as well. I was wondering if it was going to happen. When I was offered the role of the Mute and the understudy to Matt in the show, it was kind of inferred that if an opportunity arises, they’d like me to play the part. So I knew it was a possibility. The fact that the opportunity came was a big relief. What did it feel like in your first official week in the role? I’ve had the opportunity to go on a lot as an understudy. Kind of unusually a lot. A while ago, I was able to let go and realize it’s not about just making your mark and singing the right notes. I was able to play then, but this has been a great time to play on stage with the other actors and figure out what my Matt is about. Each show I’ve been trying new things. Do you feel freer to try new things, now that the role is yours? I was more tentative. Now there’s more sense of ownership and an extra sense of confidence, because this is my part. Tell us about the first time you went on as Matt as an understudy. That first time is like being a deer in the headlights. Here we go! I felt pretty prepared. I was celebrating my birthday that night, but it was a joint party with another friend. Normally, I would tell all my friends that I was going on and that they should come see me, but I didn’t want them to not be at the party. So I joined them after and I walked in and said, “I just went on for the first time!” I felt good about it. The pose at the end of Act I, I had never actually done it with other people, so I was hobbling. How many times did you go on as an understudy? What was your shortest notice? Longest time without going on? Just under 40 times. Shortest notice was 10 minutes for a matinee performance. The actor showed up a minute till the curtain, and he was huffing and puffing. I felt really awkward. Longest time without going on was about six or eight weeks. You weren’t understudying a recognizable star, so you escaped the whole audience-disappointment factor. Do you have trepidation about that? Maybe a few times I was sensitive to the fact that the audience would think, “We’re getting the second-rate Matt today, because this isn’t the guy who plays it all the time.” But most of the time I feel like they don’t even notice. What is it like to perform in this show? What do you love about it? It’s a great group of actors. A lot of us have been doing the show for a long time and we keep it fresh and stay in the moment. I think there’s a lot of flexibility in the way we can adapt to each other’s performances. There’s a lot of structure to the show, but there’s a lot of freedom too. My boss might get a little mad that I’m saying this, because he likes it very much by the book—not with ad libbing, but we’re free to play with the way we portray the characters. We’re all replacements, so it’s nice to be given that freedom. Some shows are blocked within an inch of their lives. It’s especially nice when playing a young lover, because we’re experiencing love for the first time and everything is so new. It’s nice to not feel stifled. I would love to keep working here in the city. This has been such a great first show in the city. I’ve done a ton of readings and workshops and this is my first real show here. Even though we’re off Broadway, it’s nice to be part of the New York theater community. As long as I’m being artistically challenged, that’s all I ask for. 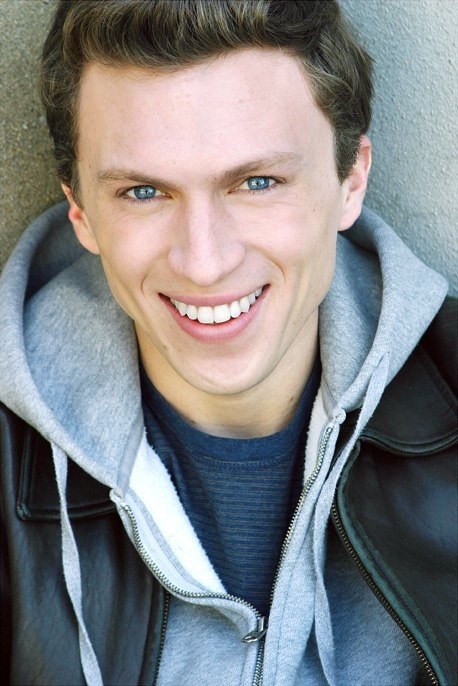 Have you seen Matt Leisy in The Fantasticks, Rushers? What do you think about the happy ending to his understudy story? Leave your thoughts in the comments below, and tune into Stage Rush TV this Friday to see more of Matt! Follow Stage Rush on Facebook and Twitter for on-the-go updates, news, and sightings!